Emma lived her whole life believing she was a mere human, but when she’s attacked by a gang hunting creatures of the Myth, her entire existence is called into question. As she is forced to go on the run with a dangerous man, she learns that monsters are real, her twin sister has turned into a mass murderer, and despite her earth upbringing, she’s actually a bonafide descendant – a forbidden child of the gods. Rogan is the leader of an Elv’ve’Norc team, a Mythical agency tasked with the protection of the Seven Planes. He’s on a mission to stop a sadistic vampire, bringing him into the path of Emma Sterling – the twin sister of the woman he’s most likely going to kill. And if that wasn’t enough of a romantic dealbreaker, he’ll be ordered to send Emma to stand trial, where she’ll be sentenced to life in the Myth’s highest-security prison simply because of what she is. 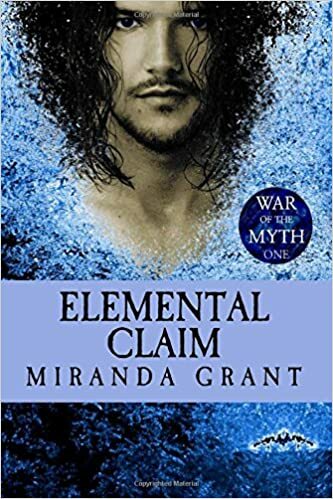 Miranda Grant has cycled three thousand miles up the Rocky Mountains on a tandem bike, launched herself off a cliff to go soar under a giant piece of thin fabric, has stared down a mamma grizzly and her cub without losing a single limb, and is now tackling the challenge of becoming a successful writer of paranormal/fantasy romance. Because when you get to imagine the hot, alpha male of your dreams, you might as well make him immortal. She tries not to just create characters in which to fall in love with, but entire worlds in which you can fall INTO. Noteworthy experiences while reading this book: I love the love story! Check out author's other books? I am WAITING eagerly for the next book. Notes and Opinions: This was a book that was hard to put down. Between the love story and the mythology, it was a fantastic book of waiting for the characters to be together. I was a part of this world while reading it and could not wait to see what was going to happen next. This book was full of twists and turns that I did not expect which is right up my alley. I enjoyed the twist on the Greek and Norse Gods and the curses. I loved Snuffles! Overall, it was a great book! I cannot wait for the next book! Go Into This One Knowing: It has some typos that should be cleared up soon. It also has some gore and Greek and Norse gods in it. Check out my #bookstagram account (@the.literary.coffee.faerie)!